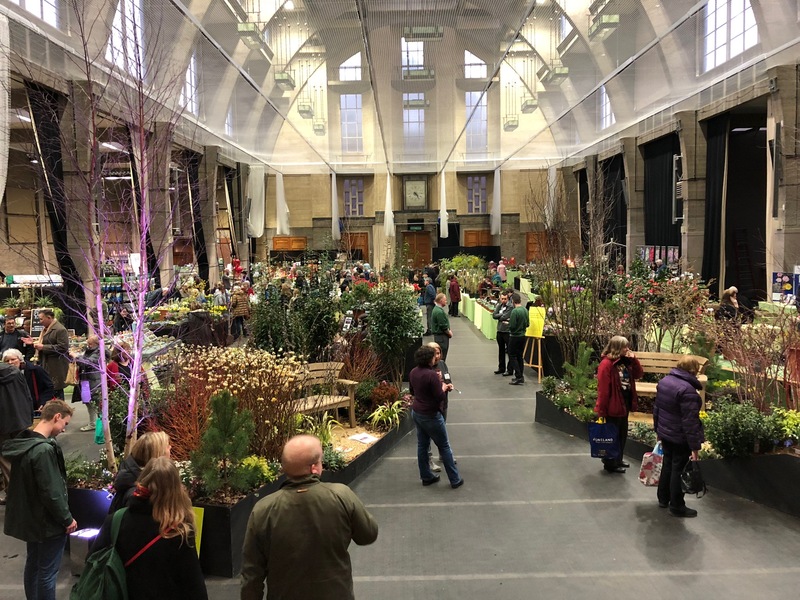 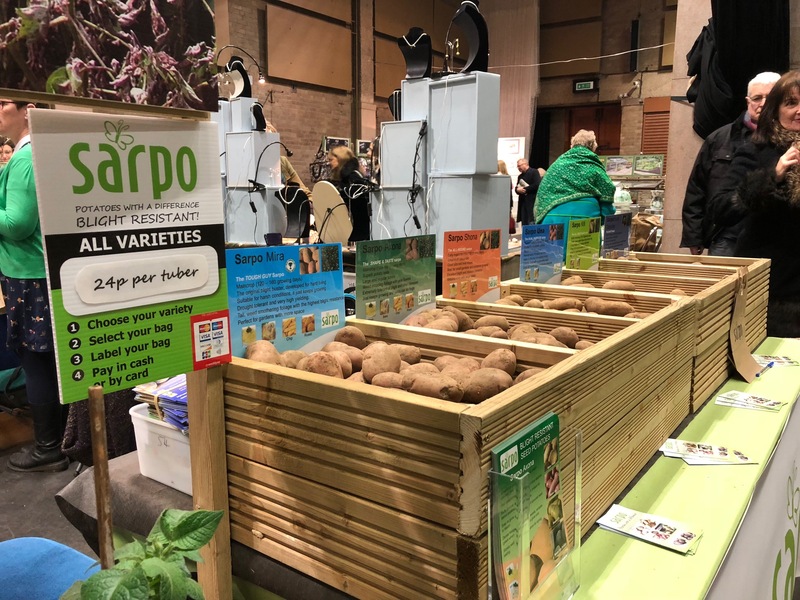 This February, Garden Ethos, designed, built and manned the Sarpo Potatoes stand at the RHS Spring Fair in central London. 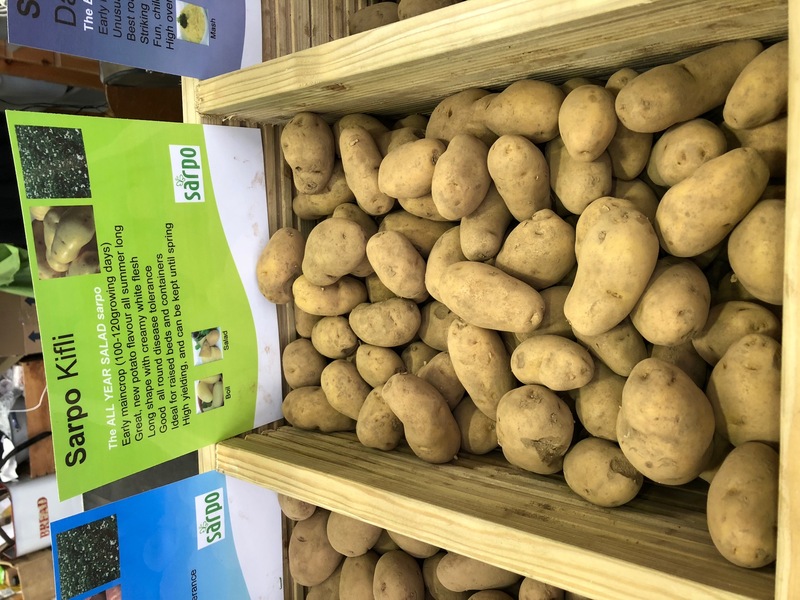 We have been working with Sarpo, who breed blight resistant spuds for some years now and this was their latest exposure at consumer shows. The objective was to raise the profile of this range of varieties that suit home gardeners and allotment holders, especially now that there is no traditional method of controlling late blight available in garden centres. The rustic stand was designed in a modular way so that it could be used repeatedly at shows and potato days through the season. 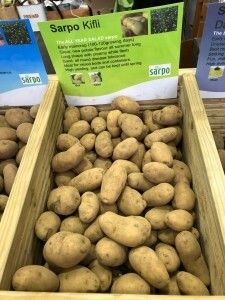 It proved a hit with the enthusiastic visitors and we had all six varieties available to take away, purchased by the tuber! 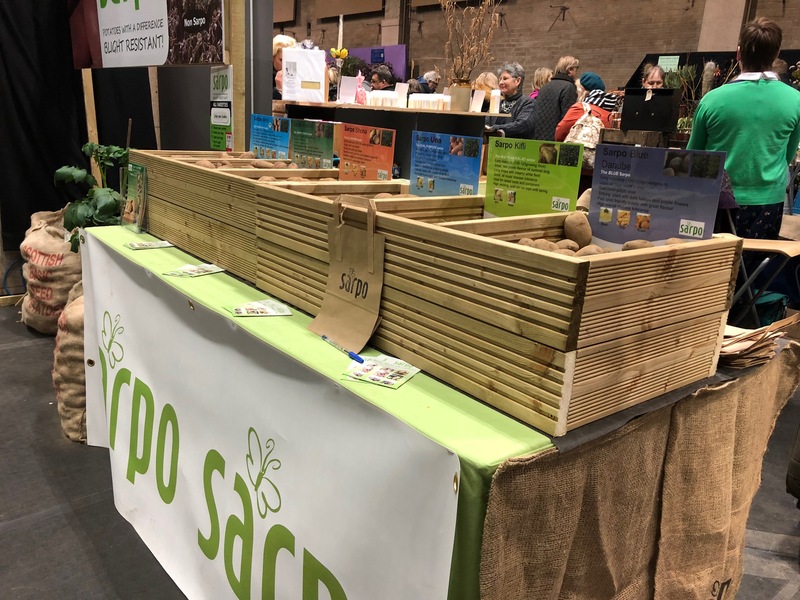 We also put together handouts and flyers so that visitors not wanting to carry potato tubers home could order at their leisure.